Back in 2012, In order to meet my fundraising goal for a charity, I have decided to give myself a challenge and try sell original watercolor postcards for donations. All of the postcards are drawn on-site, as I wanted to keep the challenge as authentic as possible. The subject for each postcard is of places of interest around Toronto. 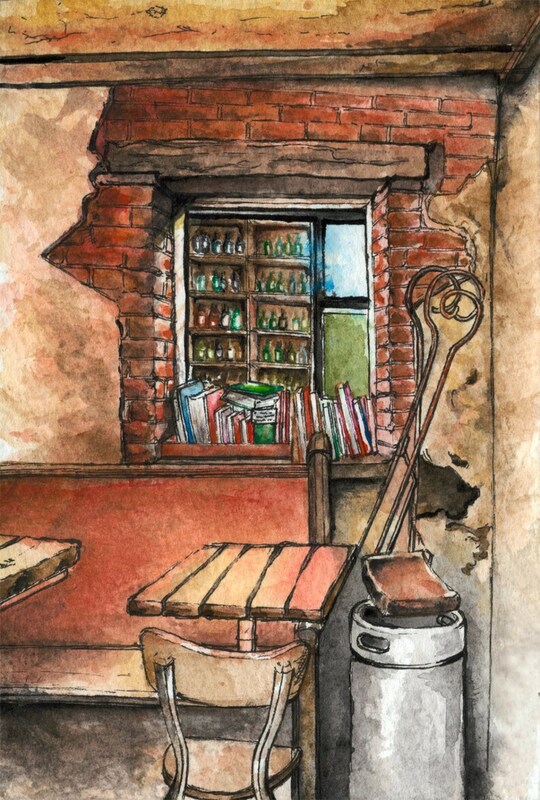 I wanted to find a charming restaurant to sketch, and The Céilí Cottage offers just that. A little Irish local pub in Leslieville Toronto, it is the perfect place to enjoy time with friends and family over a beer or two! - Frame not included - Any frame with an 8" x 10" opening will work.